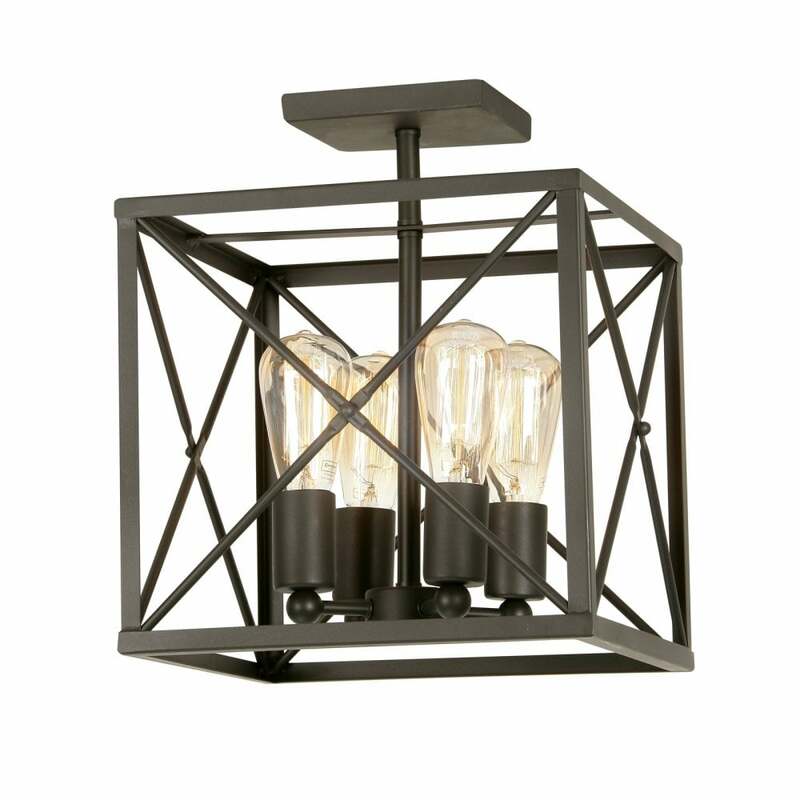 Oaks Lighting Farsund 4 light semi flush ceiling fitting features a square ceiling plate with central rod and a box lantern framework in black metal finish. The product code is 2136/4. This simple design will add an industrial look to any modern or traditional styled decor within your home and teamed with filament lamps completes the vintage look. Especially suitable for rooms with low ceiling. A wide range of industrial styled ceiling fittings can be viewed on our website.